While this may appear to be mere semantics, there are some differences between mezzanine debt and mezzanine capital. But first we should take a minute and understand what this commonly misunderstood word is. If you have ever been to a concert hall or sports arena, you may recall seeing a sign for the mezzanine level which is in the middle of the building, above the orchestra or lower level but below the balcony or upper deck. Applying this to the world of finance, mezzanine means the middle layer of capital below a secured loan but above the equity layer. A three-layer cake analogy is a good way to see this with the mezzanine being the middle layer of the cake. Some would say the mezzanine debt and mezzanine capital are interchangeable terms, but the contrast between the words debt and capital do offer some interesting insights. Debt can be a form of capital, but capital is not always debt. Capital is defined as a store of useful assets, something companies need in order to grow. Capital is often a fancier term for the word money. Debt is a loan, which has a principal repayment requirement and an interest payment. 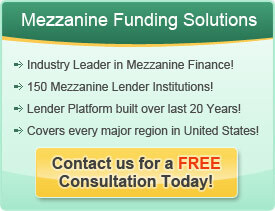 Mezzanine debt is the vehicle through which money can be raised by a company. Once this money is invested by the company to generate long-term growth, it becomes mezzanine capital, which is very similar to equity. While the mezzanine money may have loan like attributes, it functions more like equity and hence is elevated into that rarefied status of mezzanine capital. So while the world may see mezzanine debt and mezzanine capital as the same, mezzanine capital represents the beneficial end result to the company, the opportunity to realize great, long-term value.